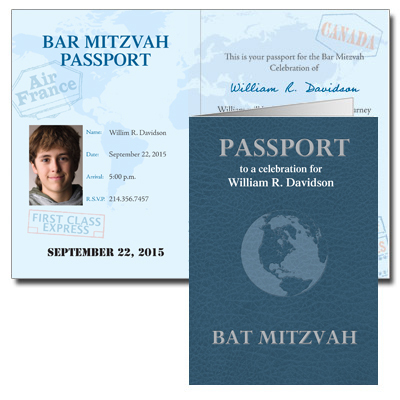 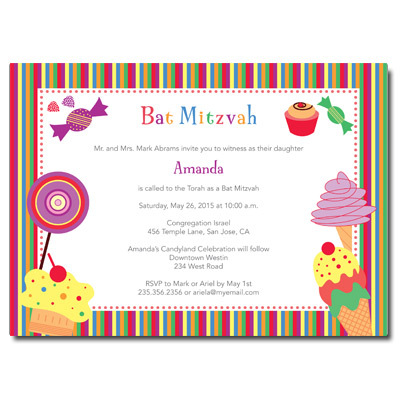 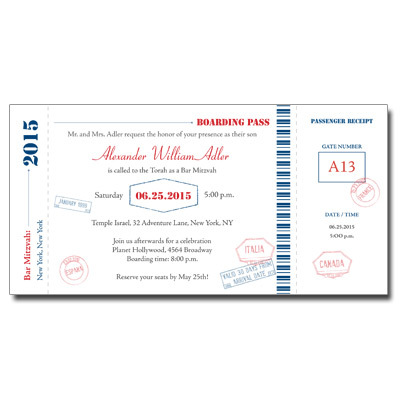 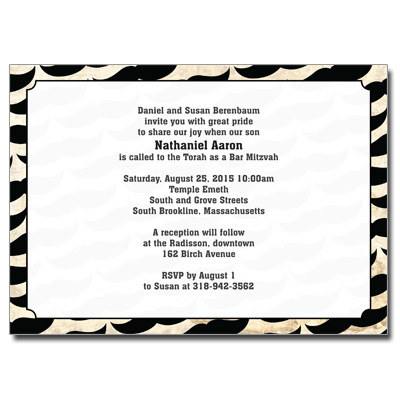 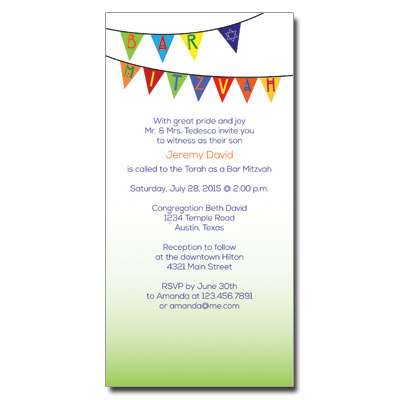 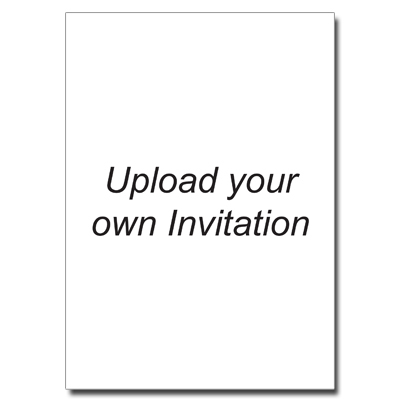 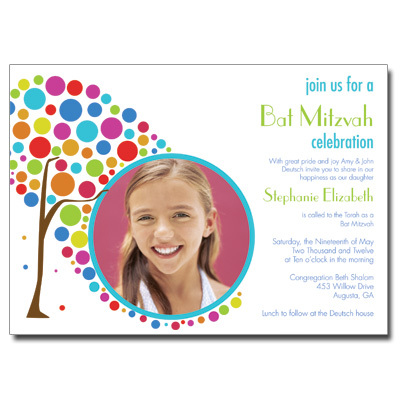 Making your own Bat Mitzvah invitations has never been easier. 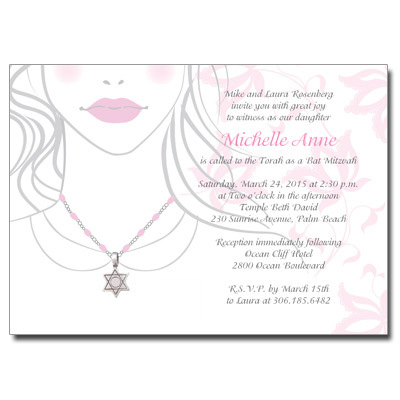 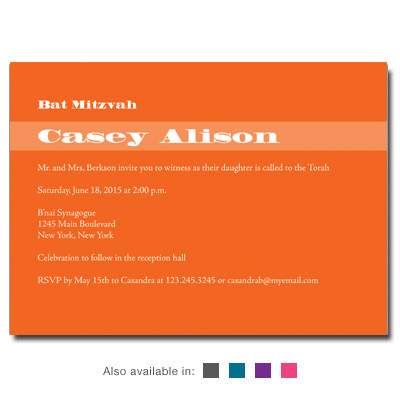 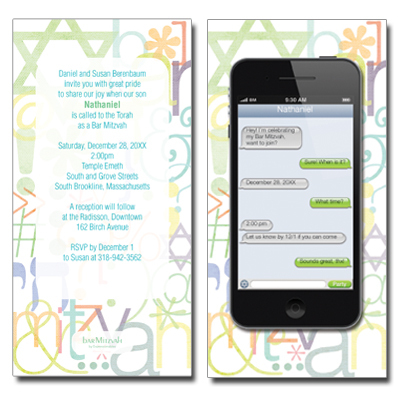 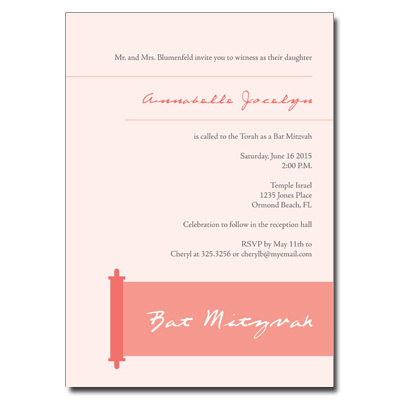 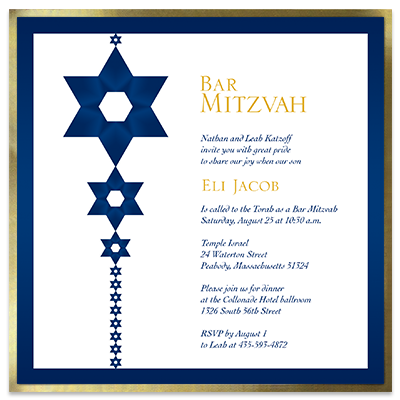 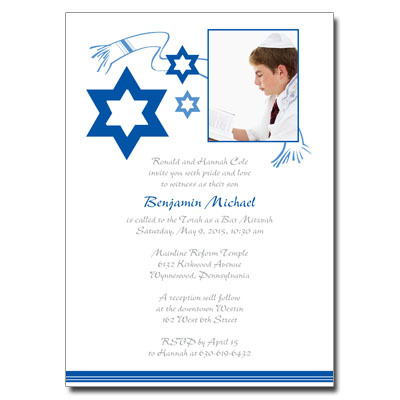 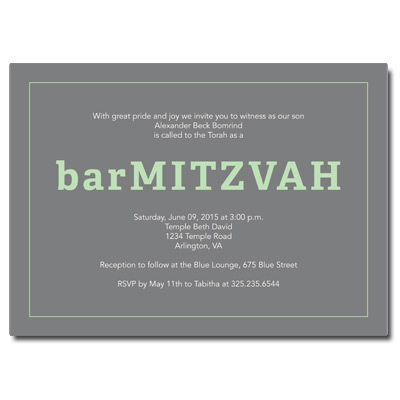 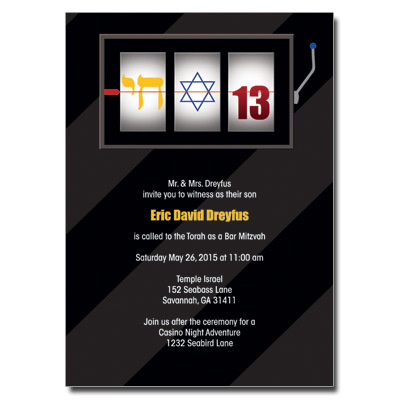 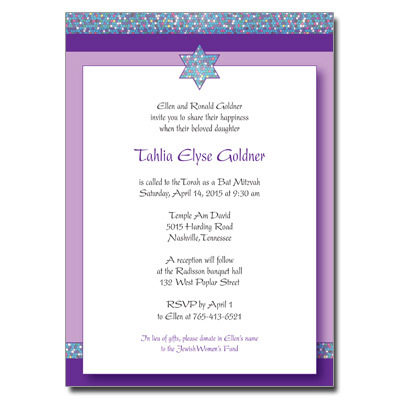 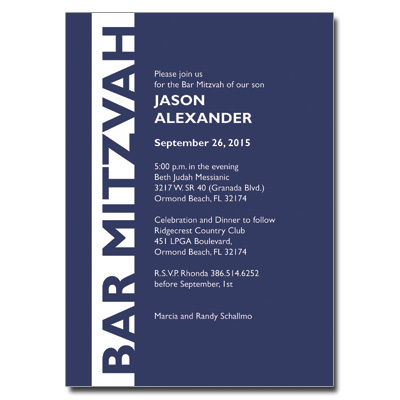 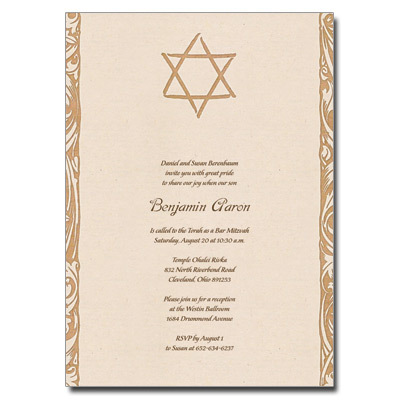 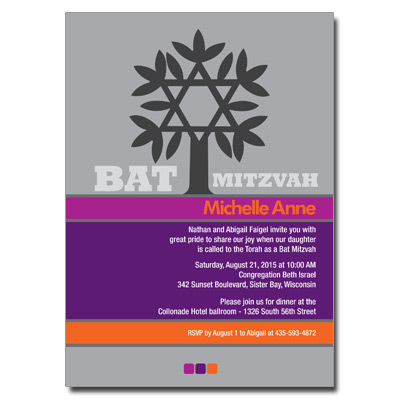 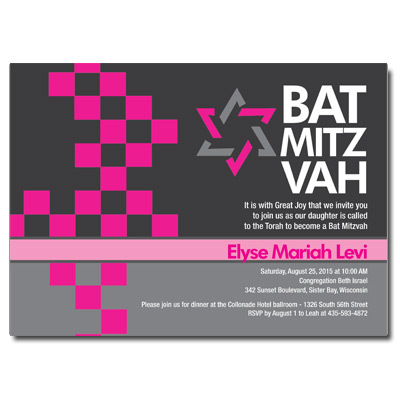 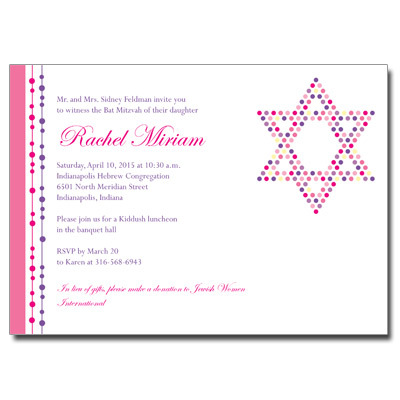 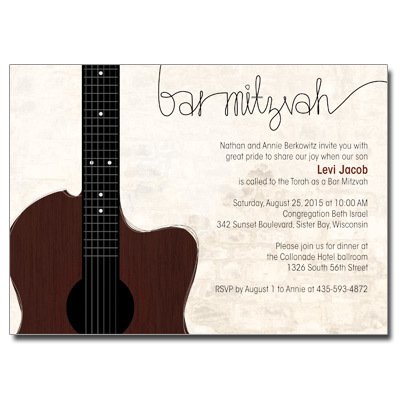 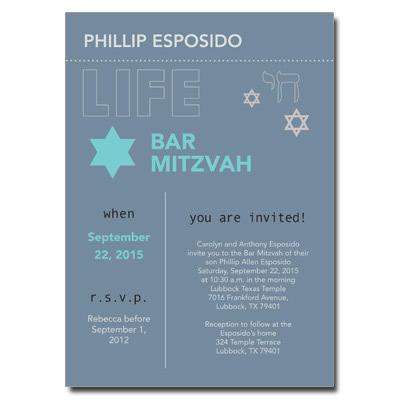 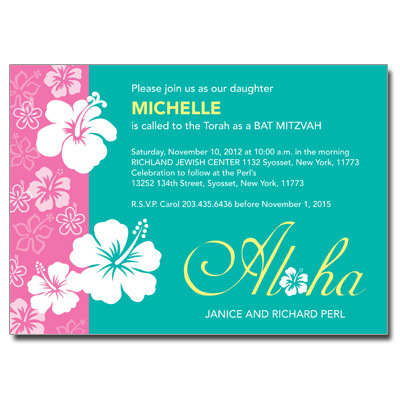 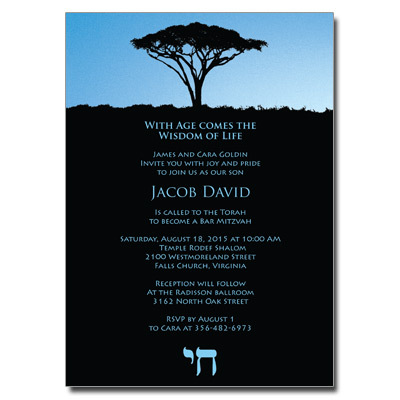 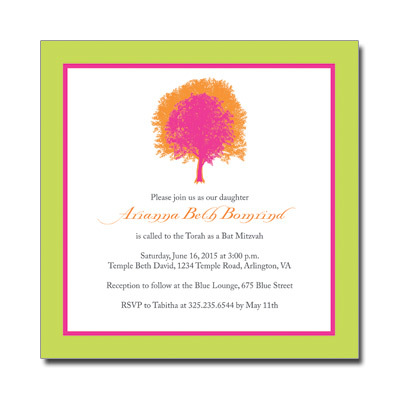 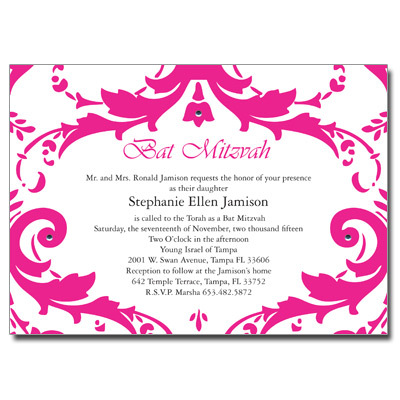 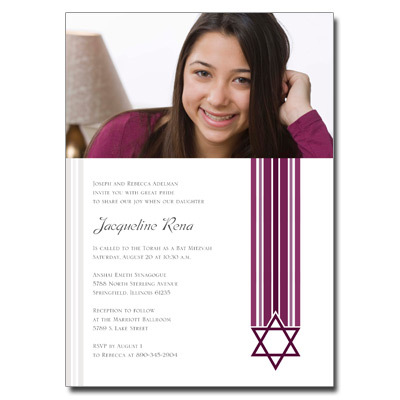 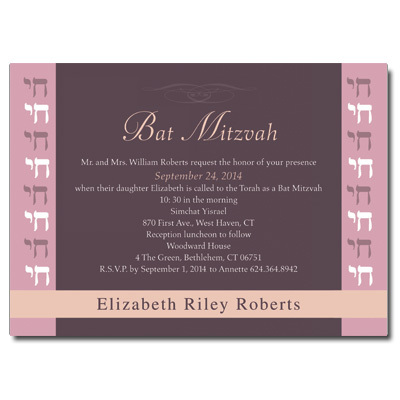 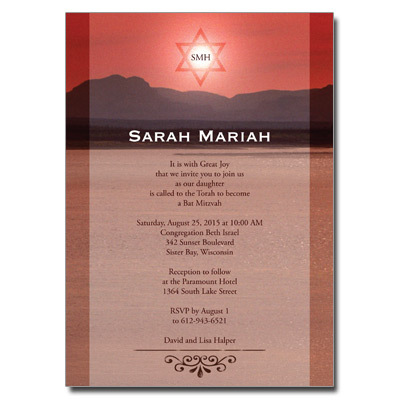 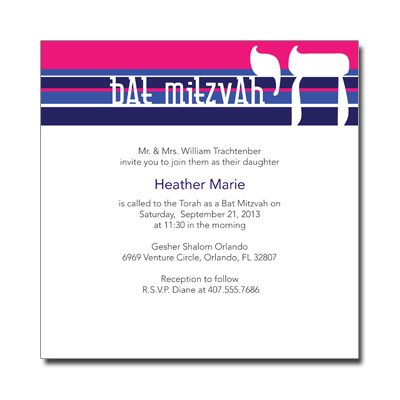 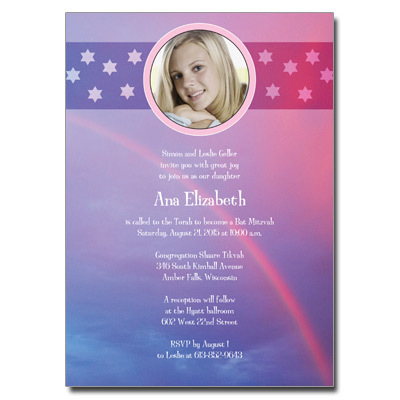 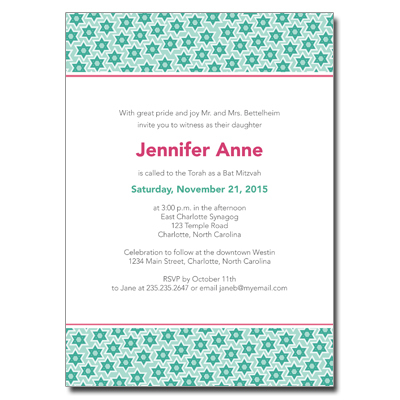 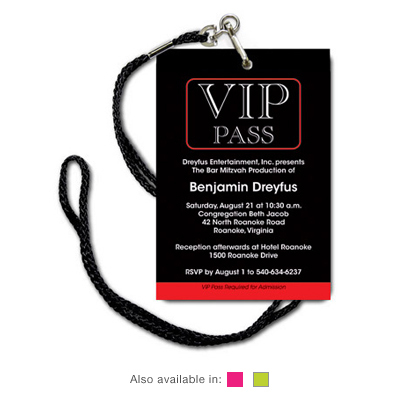 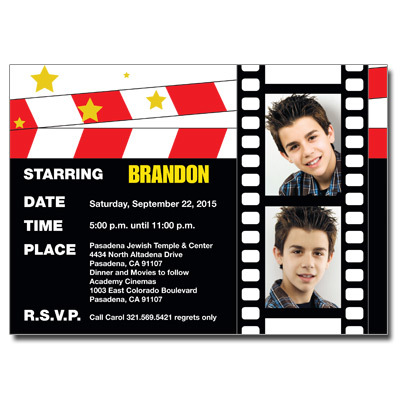 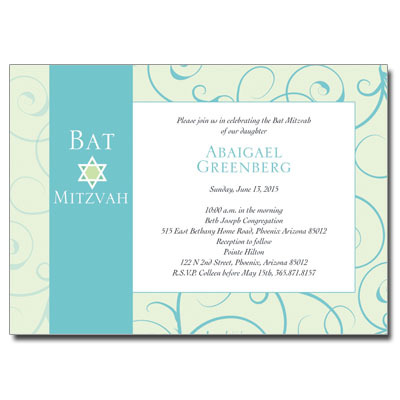 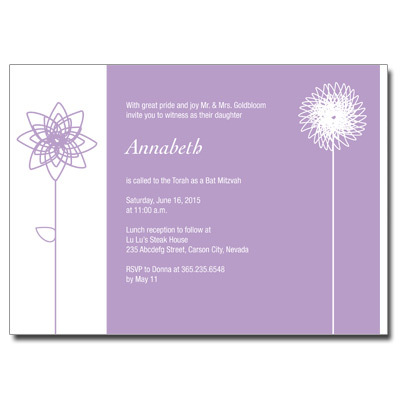 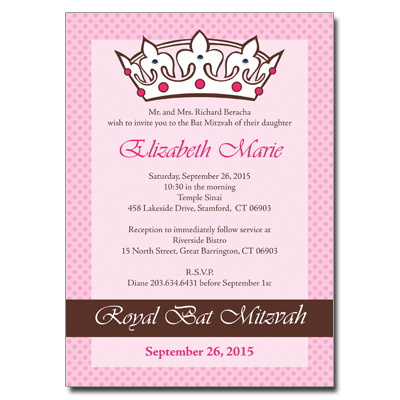 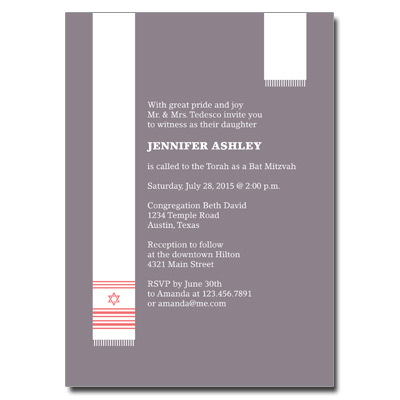 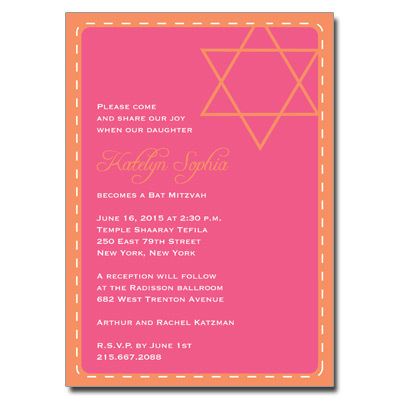 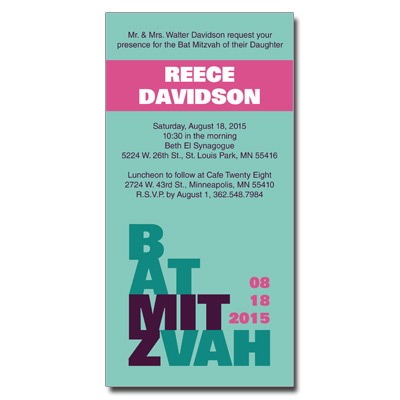 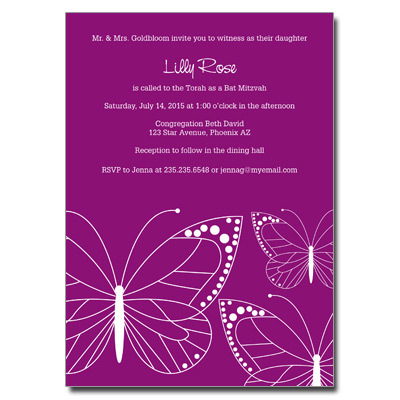 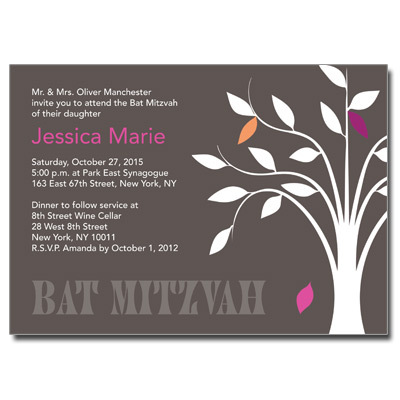 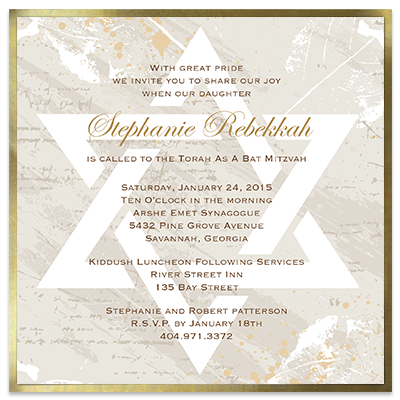 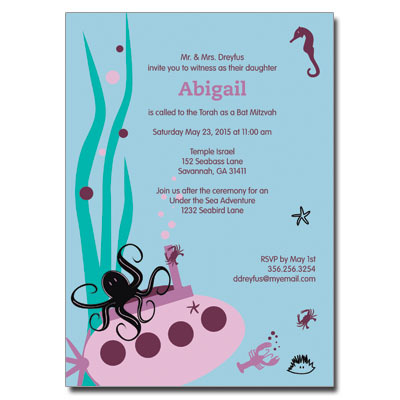 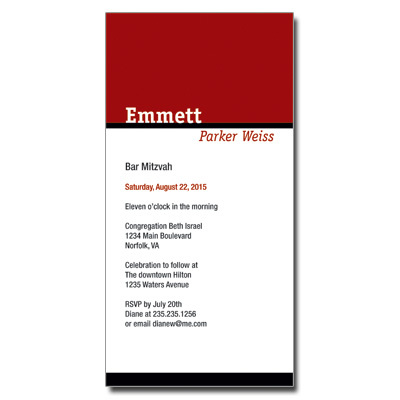 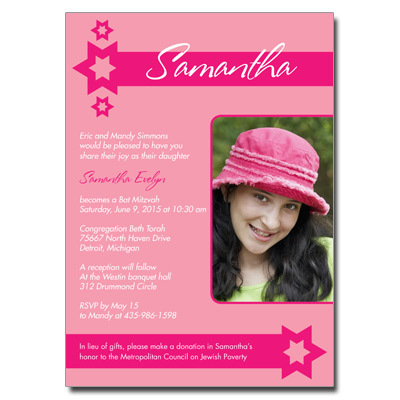 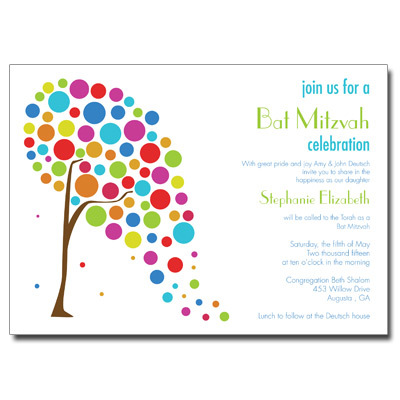 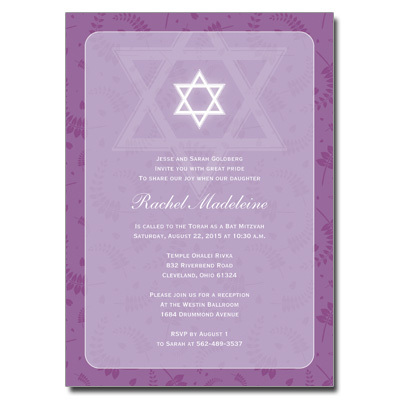 Our invitations for Bat Mitzvah come in many stylish designs – modern to elegant, colorful to themed. 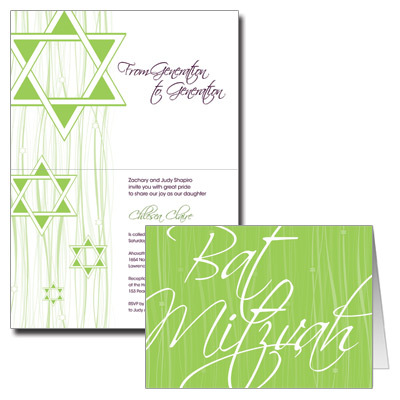 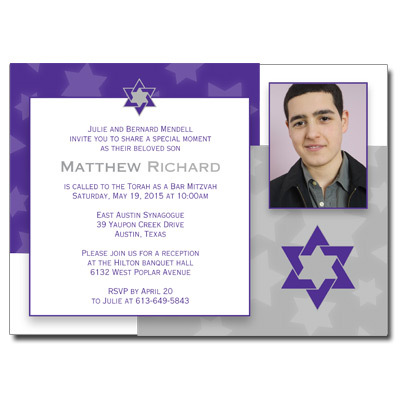 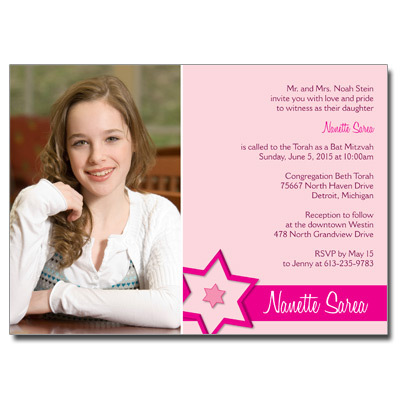 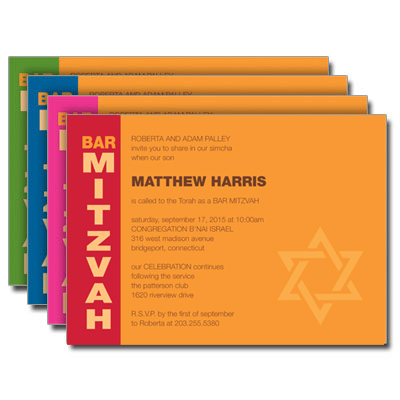 Each Bat Mitzvah invitation has matching response cards, thank you notes, party favors, and more available. 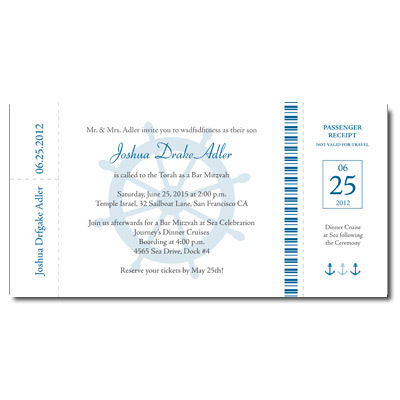 Shipping is always fast and free!